The Energy bio-information preparations affect a human body at several levels at the same time. While the active substances act directly on organs and processes in our body, the information factors obliterate a cause of illness in the information field through bio-resonance. 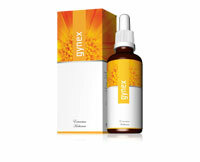 Gynex is a bio-information product with a wide-spectrum regenerative effect that is manufactured using the latest achievements in the fields of phytotherapy, psychotronics, crystal therapy and bio-resonance. 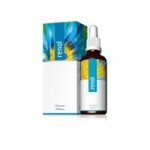 This highly concentrated product (30 ml equals 400 ml of a typical extract) is made using a special technology. It contains neither alcohol, nor sugar; therefore it is suitable also for those suffering from diabetes. It contains all plant substances soluble in both, water and alcohol. Shake well before use (approx. 21x). This leads to the dynamization of the information components, thereby increasing the effectiveness of the product. Take 3 – 9 drops 1-3x a day, half an hour before or after the meal. Put drops on a spoon and apply directly or put them in a glass of water. To stimulate the process of detoxication increase your intake of fluids within the period of regeneration process. The prevention dose is 3 drops a day, while the regeneration dose is 9 drops. In pregnancy no regeneration products should be used, unless a physician is consulted. In chronic conditions apply minimum dosage, in acute conditions maximum dosage. In the event of temporary or transient aggravation, decrease the dosage down to minimum, or take the syrup by drops even in longer intervals than one day. After improvement return to the original dosage. Do not discontinue, as these are symptoms of the reverse regeneration process, during which symptoms of previous diseases may appear. This phenomenon represents only a positive regenerative reaction! In severe cases and in serious hormonal dysfunctions we recommend smaller initial doses and the prior consultation of a physician. After three weeks interrupt the application for one week. In some cases, 1 package may suffice for regeneration; that is a one-month dose including a week-long pause. In more severe cases, more packages may be needed.